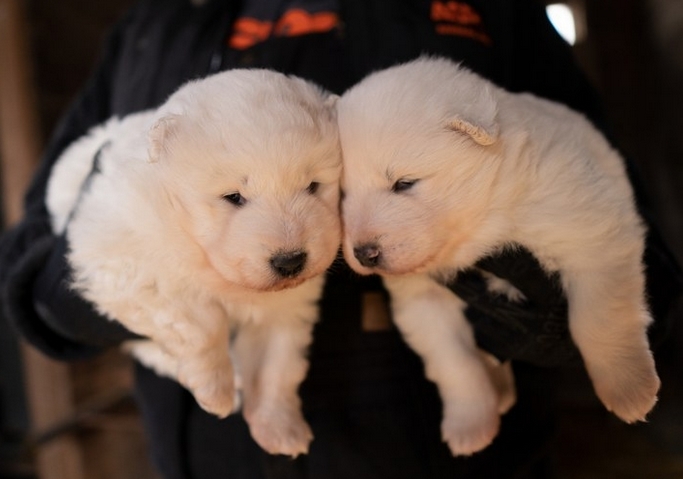 Nearly 170 dogs were rescued on Monday from a puppy mill near the Minnesota border in northern Iowa, according to a report from the Des Moines Register. 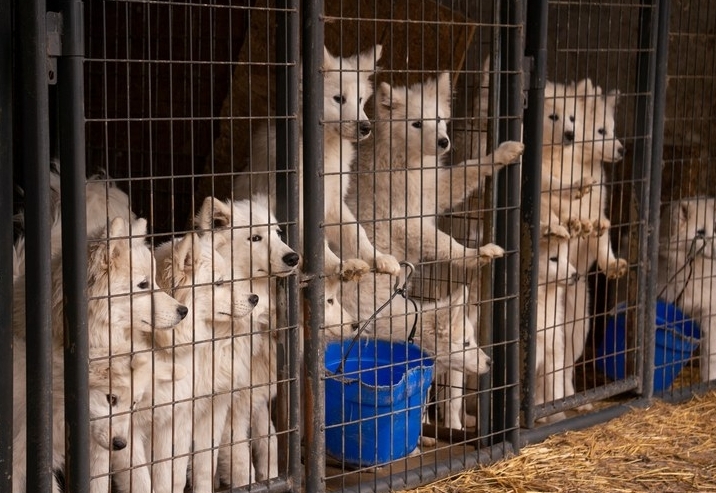 The commercial breeding operation, known as White Fire Kennel, was keeping the dogs inside a home and in barn-like structures, Tim Rickey, vice president of the American Society for the Prevention of Cruelty to Animals (ASPCA) field investigations and response, told the Register. All of the dogs were Samoyeds, a breed of large herding dog with a thick, white, double-layer coat famous for herding reindeer in Siberia, and ranged in age from young puppies to nine years old. 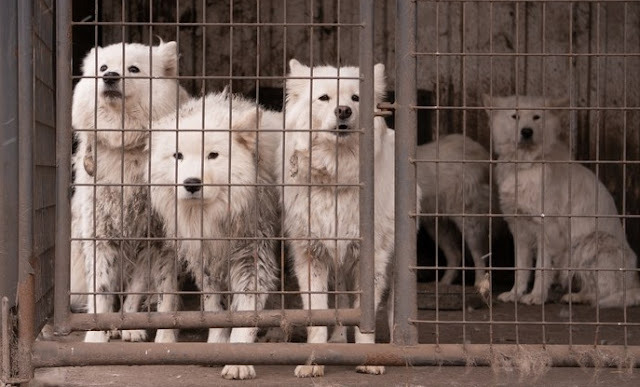 They were kept in overcrowded conditions with no access to clean water, the Register reported. Along with the dogs, four neglected cats were also found inside the residence. 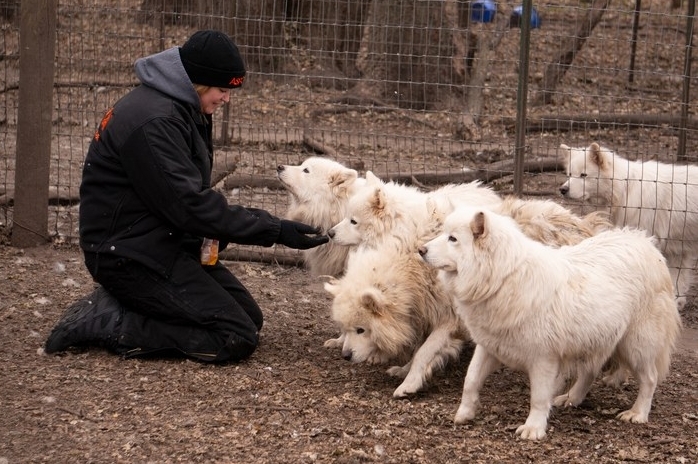 “We’re pleased to be able to support the Worth County Sheriff’s Office in removing these animals from this heartbreaking situation and providing them with much-needed care and treatment,” Schneider told Teen Vogue. The dogs are all being cared for at a temporary shelter, according to the newspaper, and none of the pups were critically injured. 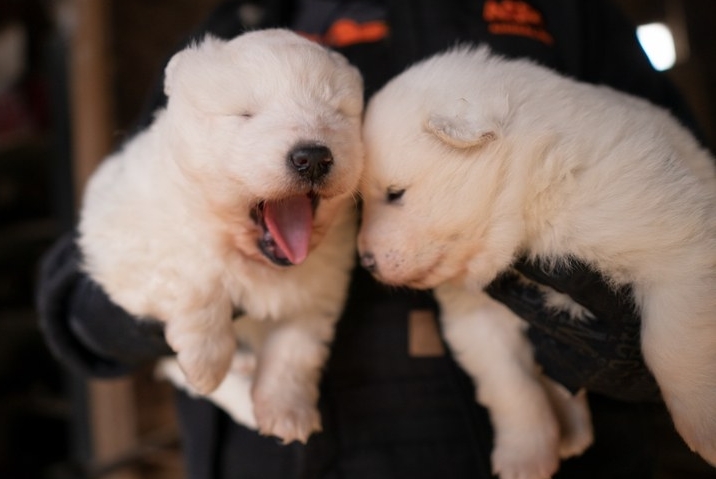 The ASPCA laid out what the next steps are for the rescued pooches. While none of the dogs can be adopted yet, you can still donate to the ASPCA in the meantime. Responses to "Nearly 170 Dogs and Puppies Rescued from Horrific Iowa Puppy Mill"